Yes, so life has been a little crazy. It has been full, busy, and exciting as I've adjusted to a new position at work while simultaneously - and finally - settling into my life here in Nashville. I feel like I have had to grow up a LOT since moving... figuring out all the fun adult stuff, like health and dental insurance, doing taxes for two states, and working through many, many days of missing family and friends back home. It's funny, actually, when I refer to or think of home, because while California will always hold a special place in my heart (west coast, best coast y'all! ), I feel strongly that the Lord is challenging me to think of here as home now. I mean, I have been living here happily for over six months, and I do not feel much of an urge to move back most days. Not that I don't miss it, because I really do, but more due to an unshakable confidence that I am exactly where the Lord wants me to be right now, doing what He wants me to do. Will I be here forever? I really don't know, but I do feel like Nashville will be home for a good amount of time, which is exciting. 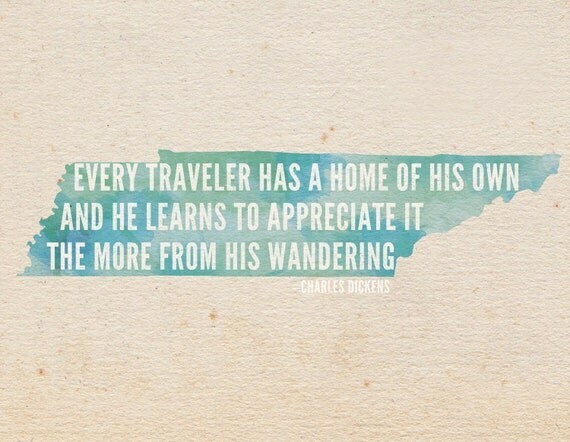 And through all of this adjustment to my new home in Tennessee, God has been immensely gracious with me. So much more than I really deserve - and ain't that always the truth? He is so much better to me than I am to Him, so much more loving and devoted and faithful than I have or can reciprocate. And these days, I am simply thankful for His grace.